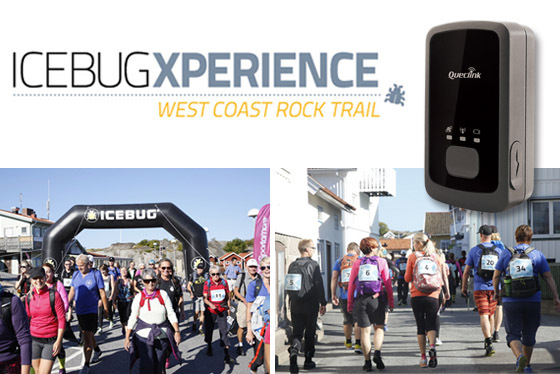 Icebug Xperience West Coast Rock Trail kicked off on September 3rd and ran through September 7th, 2014. Queclink’s product GL300 was adopted in the race to monitor all the participants in real time. The race, created by Icebug and Pathfinder Travels, took place in the West Coast of Sweden. Unlike other similar races taking place in mountain environments, this event focuses on unique Bohuslän landscape. During the race, the participants hiked and ran on sparkling red granite slabs and through stunning cultural landscapes with fantastic views of the North Sea horizon. Queclink’s GL300, as a water-resistant GNSS locator, can be used even in rainy days. It features accurate positioning as its built-in GNSS receiver supports both GPS and GLONASS. Therefore, it is an ideal tracker for the race. More information about the race, please visit http://www.icebugx.com/.